Based on Colin Thiele's 1964 children’s book, Storm Boy rescues a pelican who later becomes his pet and faithful companion, Mr. Percival. Join them as they make the beaches of South Australia their own. Developer: Blowfish Studios Publisher: Level 77 Pty Ltd.
Storm Boy is about the dreams and memories of a young adventurous boy whom we join as he has the time of his life running, playing and getting into all kinds of mischief on the beaches of South Australia near the mouth of the Murray River. One day he rescues orphaned pelican chicks, one of whom later becomes his pet and faithful companion, Mr. Percival. Both go on many adventures, some enchanting and happy, yet others are a bit sad, which serves to strengthen the bond between them and you as a player as well. Thus, it's a heartwarming tale about unusual friendship and unconditional love. After playing, you will be left with an outlook of hope and a better perspective on life. The game is very easy, calming and enjoyable, as it is meant to feel like a memory of a dream where you experience an array of emotions. Everyone young and old can play since it does not hinge on any amount of skill, but it is more about experiencing youthful thoughts and feelings. 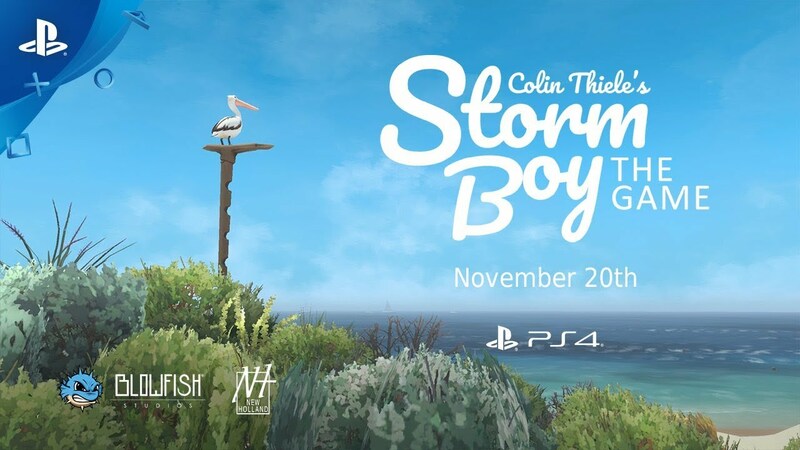 Storm Boy the game is being launched in anticipation of an upcoming film based on the novella by Colin Thiele of the same name. The adaption is directed by Shawn Seet; stars Geoffrey Rush and Jai Courtney; and is set to be in theaters in January 2019. © 2018 Level 77 Pty Ltd. All Rights Reserved.